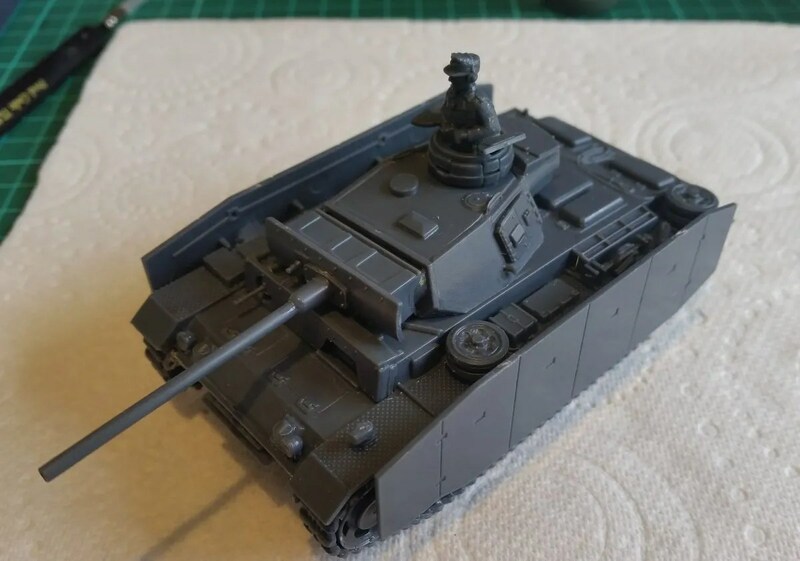 I spent a peaceful day (my wife and lad went on a day out) building a Panzer III I’d bought at the end of July. When I got started, I realised I couldn’t decide whether to build it with the armour skirts or not. So, I dug out the box of magnets and wondered how I’d do it. The kit itself lent itself to magnetising so well in the end. The 3 top rollers of the tracks fit a magnet perfectly. I attached magnets (with a combination of green-stuff and superglue) inside the top rollers before I finished off the track pieces. Making sure polarities were all matching so I could attach the armour skirts. I used a double magnet set up for the skirts to try and get the spacing correct. 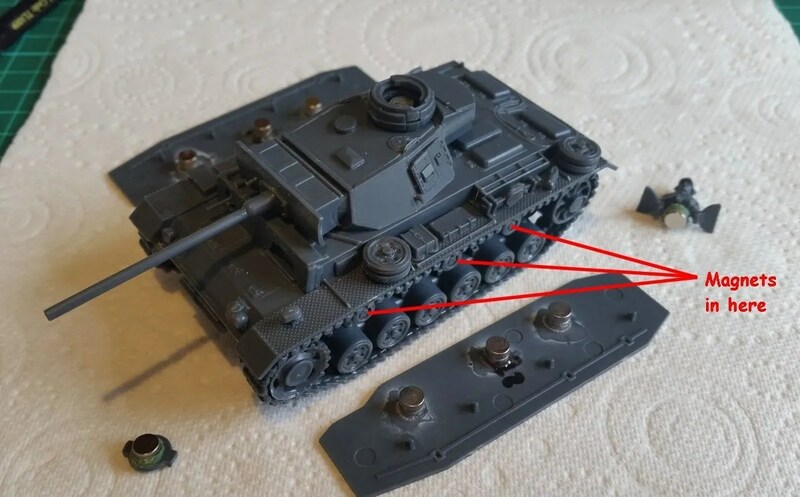 As you can see in the pictures, the skirts are going to be optional extras incase I want to use an Ausf L with that option, otherwise, without them, you can’t see the magnets are there. The kit had options for closed hatch or open with commander, so while the magnets were out, they got the same treatment. It means my Panzer III Ausf L can have a closed or open hatch with commander, or as an extra have the armour skirts.